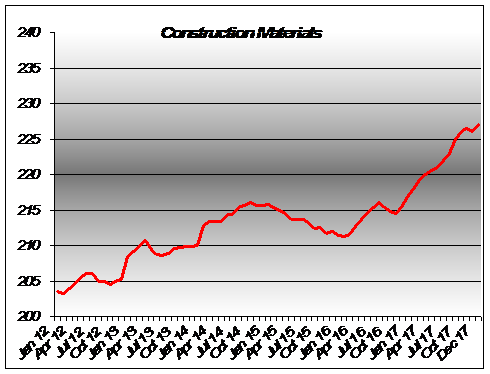 Commercial and residential construction is still strong, but public construction is down. Housing prices are still moving upward, but mostly due to a lack of inventory and pent-up demand. Inventory is at a 20-year low. Public construction has been stalled, but with the rebuilding efforts we can expect following several large hurricanes it may finally climb out of its slump. Wages are up 4-5% and show no sign of slowing down. All in all, the construction industry will probably remain strong for next year. Most commodities remain up, while some (such as wood products and copper) are up significantly. Due to the recent hurricanes, fuel will remain high until the refineries in Texas get up to full production. Materials are 6-7% up for the year. Granite had been languishing in spite of a recovering housing industry, but now seems to be following the fortunes of construction, albeit at a slower pace. As the housing industry recovers and houses gain in price, accessories such as granite are increasingly called for by consumers. 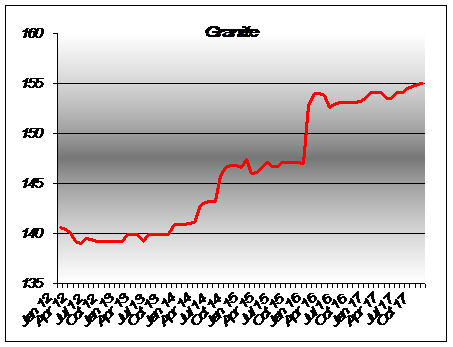 But be aware that granite seems to be losing its dominance as a housing product. Same story, just a year later. After some very dramatic gains in 2014 the price of wood siding began to moderate and is now starting to give back some of its gains. 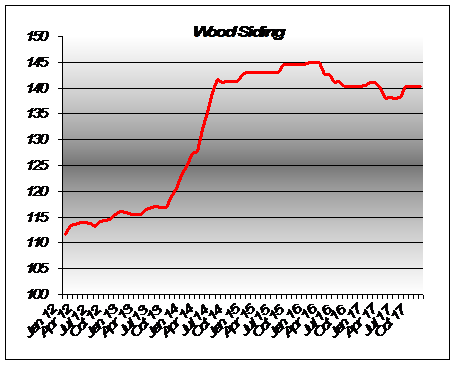 It had been tracking the lumber industry as a whole, but now seems to be going its own way, having declined about 3% so far this year. Same story, five years running. 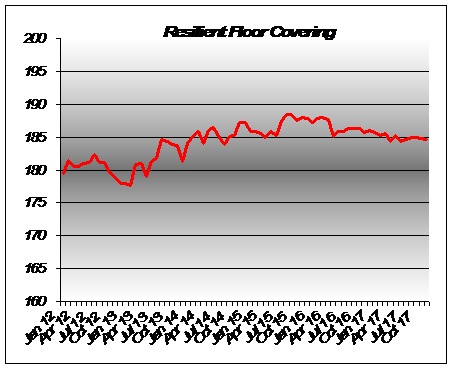 Resilient flooring is flat. We thought that a rising petroleum price would fuel an increase in this component but that didn’t pan out. Then oil went down and still nothing happened. As a result, we can be pretty confident we won't see any significant change in resilient flooring for the foreseeable future. 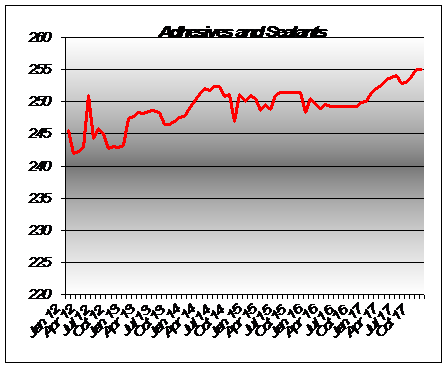 After several years of stagnation, adhesives are beginning to show moderate increases. We will see if they have a relationship to the rising price of oil. As we have said before, these components most likely will follow the fortunes of the petroleum industry. After being up in 2013, optic cable has been flat for the last 36 months. 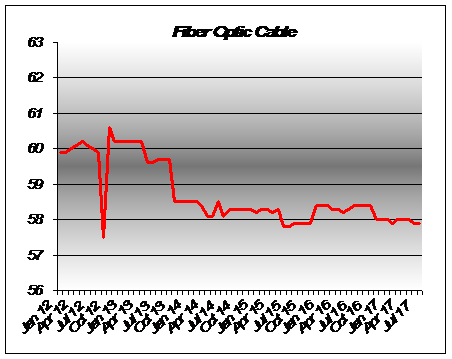 Since its peak in 2004, optic cable has decreased in price by almost 12% and things don’t seem to be changing. We can expect fiber optic cable to remain flat for the next year.